Compete in a Speed Championship with an interesting combination of Hillclimbs and Sprints in the South and centre of Scotland. Supported by MAXSport Competition Tyres (Scotland) registration for the Lowland Speed Championship is just £15.00! 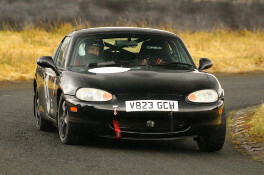 This season the Lowland Speed Championship continues to support the popular Scottish MX5 Hillclimb and Sprint Register within Class A9. MAXSport Competition Tyres (Scotland) supply highly competitively priced MAXSport competition tyres with a range of compounds for race and road going use. A division of Roanhead Logistics Ltd. Please download the attached .pdf document inviting you, fellow competitors and friends to the Lowland Speed Championship (2018) Awards Dinner at the Stirling Court Hotel, 16th March 2019. (Please return current trophies as soon as possible).